Patricia C. Baker, Program Management Specialist in Fire Protection Engineering (FPE), will be honored by the University System of Maryland (USM) Board of Regents (BOR). The BOR has selected Baker as a recipient of the 2011-2012 USM Board of Regents’ Staff Award in the category of Outstanding Service to Students in an Academic or Residential Environment – Nonexempt Staff. Baker is the only staff member from the College Park campus to be recognized this year. The award is the highest honor to be bestowed by the BOR to recognize exemplary staff achievement. She will be recognized publicly at a ceremony prior to the start of the next BOR meeting on September 28, 2012 at Bowie State University. In addition to the Regents’ honor, Baker will be recognized by campus with a President’s Distinguished Service Award on October 9th at the 29th Annual Faculty and Staff Convocation in the Memorial Chapel. 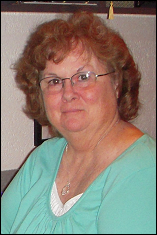 Baker joined the University in 1978 as a secretary in Counseling and Personnel Services in the College of Education. In the early 1980s she came to the School of Engineering and, over the years, held positions as the graduate secretary in Mechanical Engineering and Aerospace Engineering. She has nearly 34 years of service with the university. Known for her many contributions and kindnesses, Baker is a favorite of students, alumni, faculty and staff who routinely attest to her positive qualities. Pat plays an especially important role in the lives of the students, supporting them and making a difference in their lives as they progress through the FPE undergraduate and graduate programs. In 1995 Baker was the recipient of the Clark School’s Outstanding Staff Service Award.